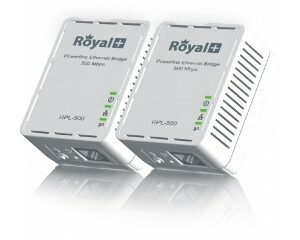 RoyalPlus provides Quality Powerline Ethernet Bridges which result in 30% or more Faster Speeds compared to Wireless WiFi connections. 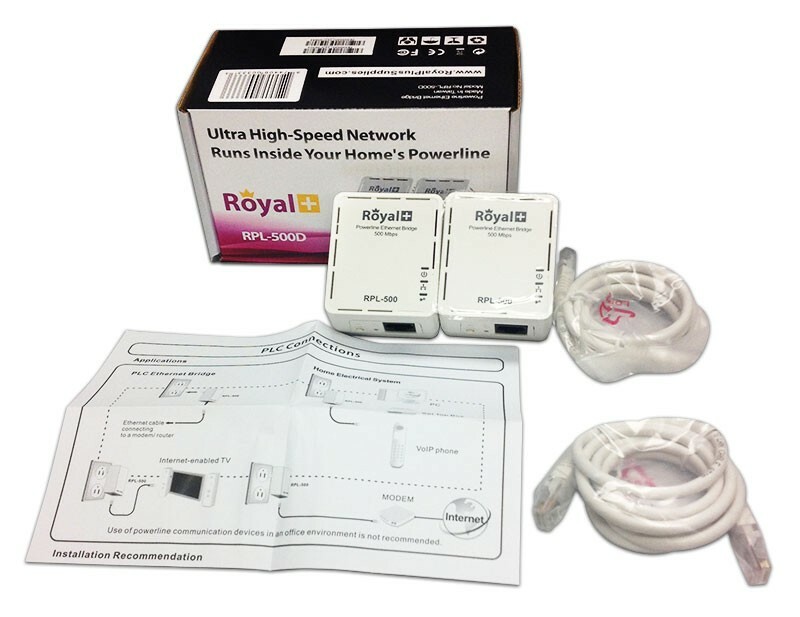 Use these Powerline Bridges for Faster and Better Performance with your Smart TV, Gaming Consoles (Playstation, XBOX, etc),Computers/PC, Satellite Receivers, Media Boxes and Google/Apple TV. 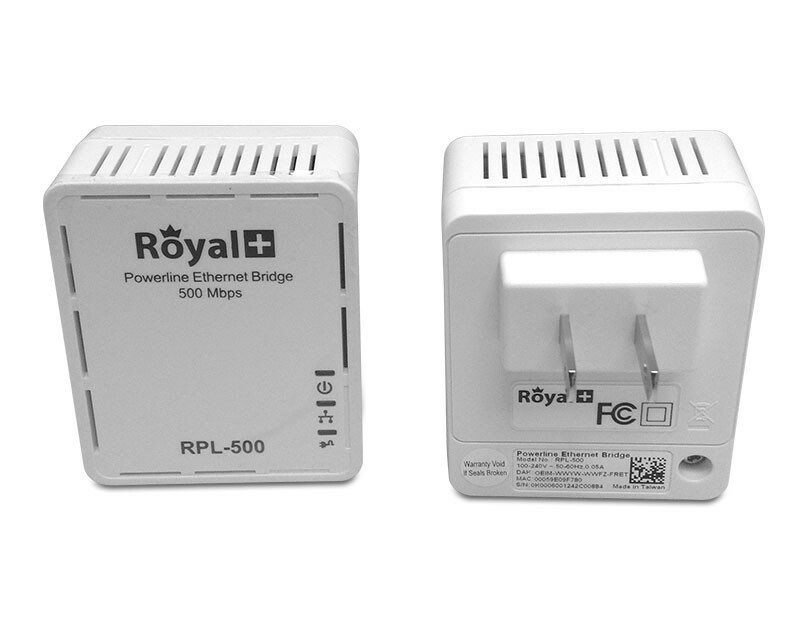 Unlike WiFi devices, Royal Plus Power Line Bridges have no dead spots, meaning you get full speed anywhere in your house at all times. 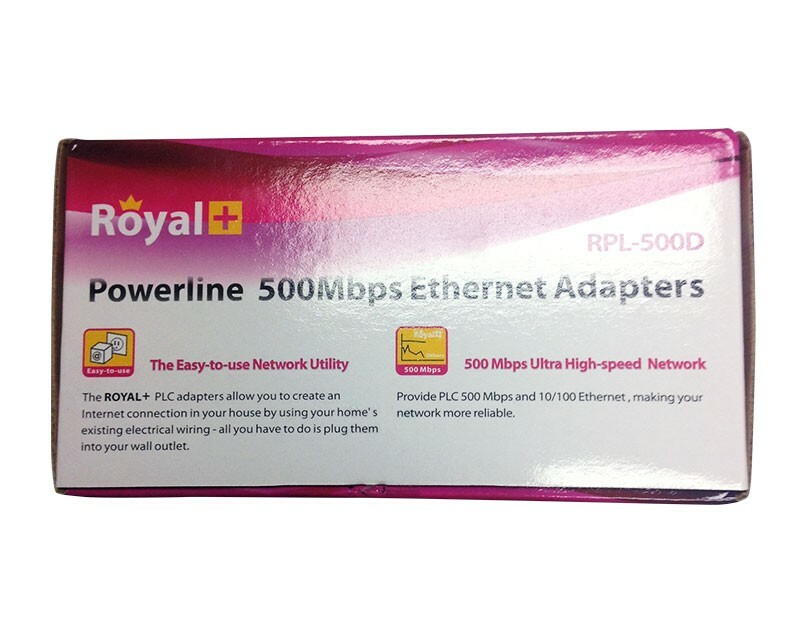 The latest product from RoyalPlus, 500Mbps Powerline RPL-500D. 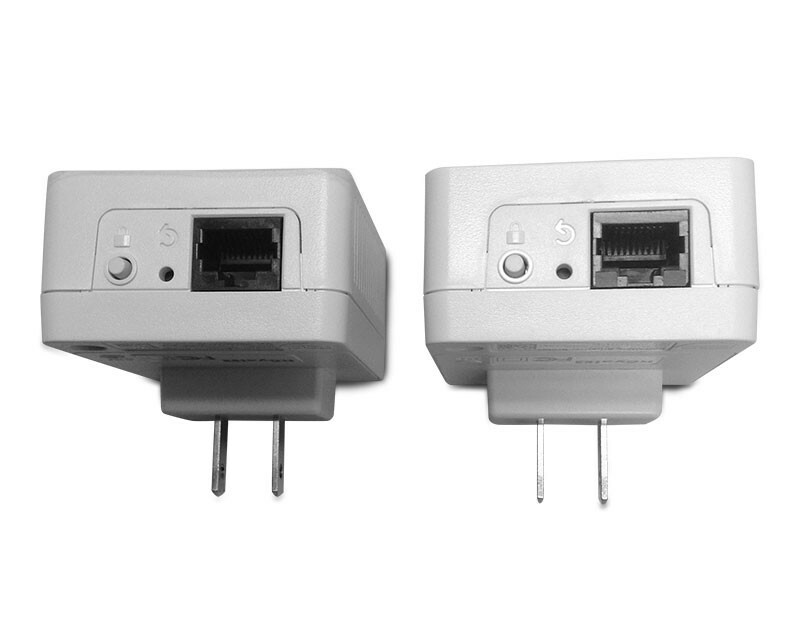 Better Design and Faster than previous verison of Powerline Bridge Adapters. 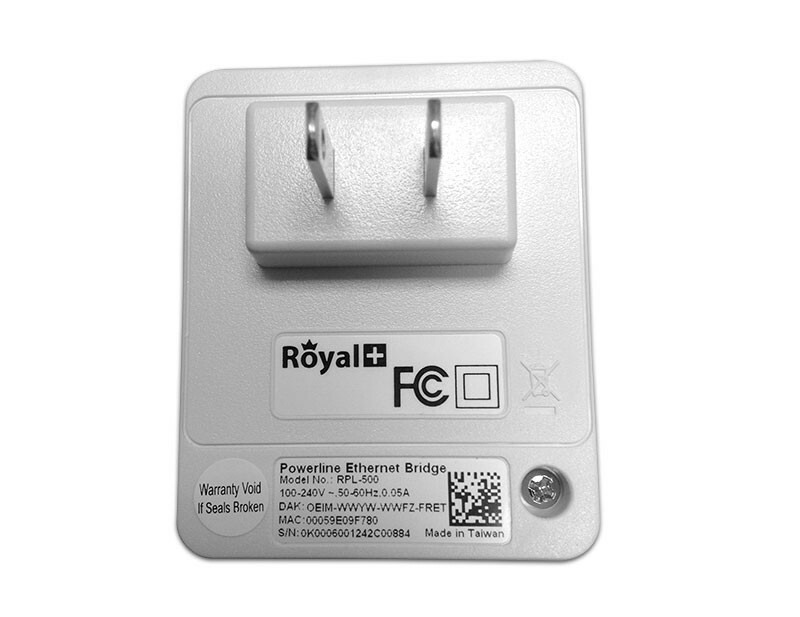 Ultra Compact design is half the size from previous generation RoyalPlus Powerlines. 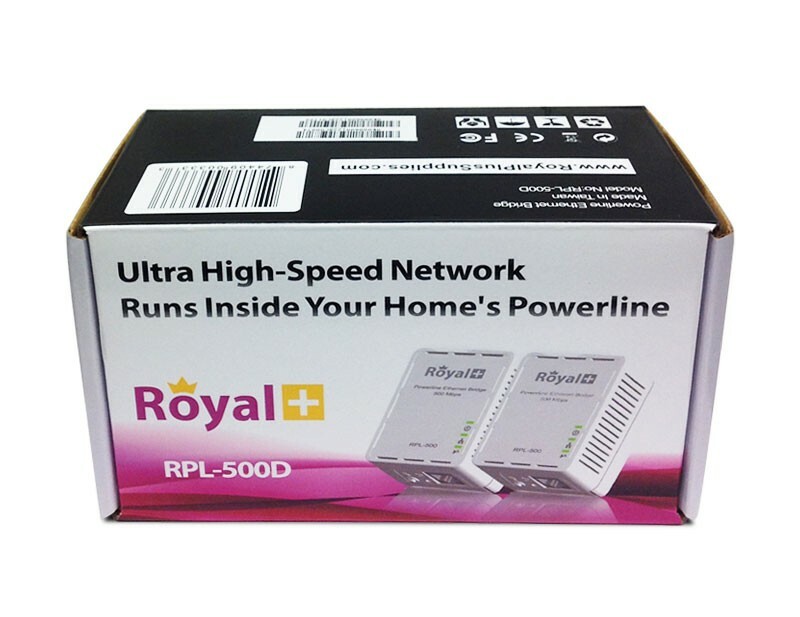 Just Plug and Play with one pair of RPL-500D to turn your home AC wires into high speed networking and it brings more convenience to set your digital network environment.